Lulu had the most liked content! We are trying to keep our Broom Skipper as original as possible, even the 1970's light fittings are staying. The original fridge sadly is going to have to go as we cant get it to work. My horse in the work's sweepstake is Lake View Lad. Congratulations! My dad was a keen amateur radio enthusiast. I'm not sure if he still does it but i can remember learning morse code with him when i was a kid and he got a new call sign after passing his morse code if I remember rightly. 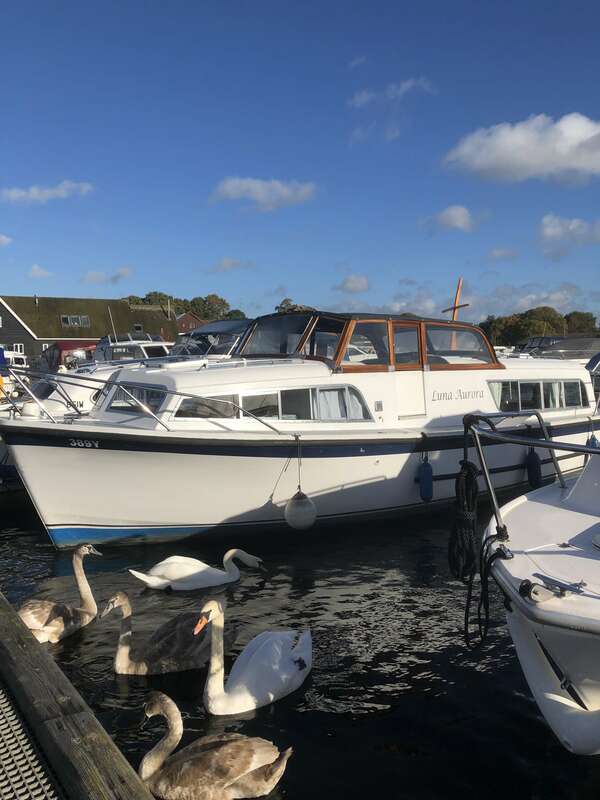 We didnt risk it and went to Horning via Acle and Ludham as suggested. it just took us about 10 mins longer than usual but no hold ups. I really enjoyed the different route. Ive never driven over Acle bridge so it was interesting seeing the river from a different view. We think we are going to be using that route from now on until the end of the season. There will always be a compromise. Ours is not having rear access for the dogs which is proving an issue but the positives is the layout, low airdraft when the canopy and sides are down but height when sitting in the helm. If it had rear access that would have equalled pretty much perfection for us. Actually that would come in use also to lift our very heavy winter cover off the boat!